Whatever the case may be, Villanova women’s track coach Gina Procaccio has always tried to make it a priority to recruit runners from around the world. And that commitment to global recruiting has not only helped Villanova maintain its lofty status as one of this country’s great programs for distance running, it’s also established an impressive tradition on the world stage – one that will continue this month. At the 2012 London Olympics, two Villanova women’s track alums – Sheila Reid and Marina Muncan – will be the latest in a long line of Wildcat Olympians. 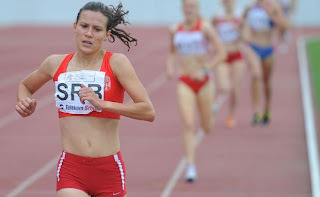 And both will represent different countries, with Reid running the 5,000 meters for her native Canada and Muncan running the 1,500 meters for Serbia. It all stems from the school’s pledge to bring some of the planet’s best young runners to the Main Line, no matter where they come from originally. Led by head coach Marcus O’Sullivan, an ex-track star from Ireland, the Villanova men’s track program has made a similar commitment. 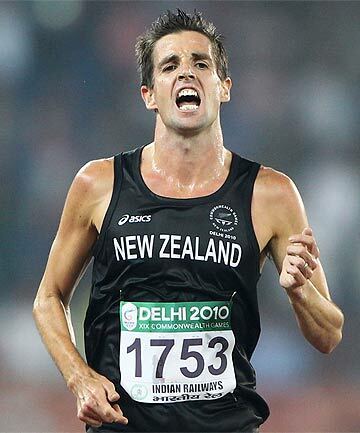 And Adrian Blincoe, a ’Nova men’s track alum and current assistant coach under O’Sullivan, would have been the third ex-Wildcat runner at the 2012 Olympics – representing a third different country. When Procaccio heard the news, she felt terribly for her ’Nova coaching colleague. 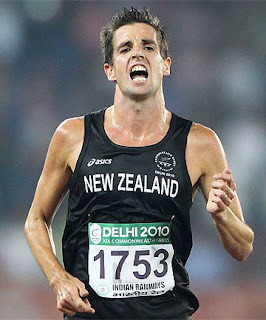 Despite his own disappointment, Blincoe took the time to remark over email, just one day before New Zealand issued the press release announcing his withdrawal from the 2012 Games, what it means to have so many Olympians who went to Villanova. On top of the runners, ’Nova alum Andrew Sullivan will compete in the Olympics for Great Britain in men’s basketball and Lisa Karcic for Croatia in women’s basketball. Originally, it looked like as if the Villanova community would not get the opportunity to cheer on Reid at the Olympics. Despite leaving Villanova a couple of months ago as one of the school’s greatest all-time runners and winning the 5,000 meters at the Canadian Olympic Trials, she didn’t qualify for London at first because her time didn’t meet the Olympic “A” standard, and she didn’t meet the “B” standard time twice as required. But after two appeals, Reid was – finally, thrillingly – named to the Canadian Olympic Team two weeks ago due to the country’s “Rising Star” provision. Basically, Canadian Olympic officials decided what Villanova already knew: Reid is a star. “We’re just thrilled that it worked out,” Procaccio said. 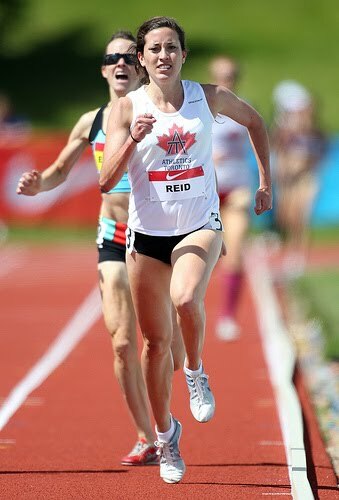 For Reid, the women’s 5,000 meters will be held at Olympic Stadium from Aug. 8-11. That’s when the former NCAA champion will set her goal on adding to her running legacy – although medaling in her first Olympics may be too much to ask. Muncan – whose 1500-meter heats begin Aug. 3 – will also have the odds stacked against her as she makes her Olympic debut. But the 2006 ’Nova grad, according to her college coach, just has a knack of running her fastest when the pressure is on. Like Reid, Muncan may be laid-back off the track but is a fierce competitor when she’s on it. “Marina has always been a big-meet performer,” Procaccio said. “She would always rise to the occasion and run her best races at the NCAA Championships. I’m really excited to see how she does. Villanova certainly knows about the spirit of the Olympics. The school’s women’s program has had an Olympic representative in every Summer Games since 1988, including multiple-Olympians Vicki Huber (1988, 1996), Sonia O’Sullivan (1992, 1996, 2000, 2004) and Jennifer Rhines (2000, 2004, 2008). O’Sullivan won a silver at the 2000 Olympics. 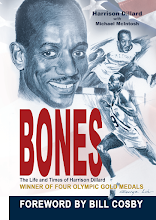 And the Villanova men’s program also has a rich tradition, sending runners to every Olympics from 1948 to 1992, winning 10 medals in that span. “It’s definitely a streak we want to keep going,” Procaccio said. “My whole philosophy here is to develop athletes in the collegiate system and leave them with room to go on and run professionally. That’s always been the Villanova tradition. I ran professionally. Marcus, the men’s coach, ran professionally. So I think we attract those caliber of kids – who wants to see how far they can go and run. Email Dave Zeitlin at djzeitlin@gmail.com and follow him on Twitter at @DaveZeitlin.